The 10th edition of the Best of Nollywood Awards (BON) will hold this Sunday, and things have been shaping since the nomination list was released last month, with Tope Oshin’s queer young-adult movie We Don’t Live Here Anymore leading with eleven nominations. That’s incredible. We also know that comedian Helen Paul and veteran actor Keppy Ekpeyong Bassey have been paired to helm proceedings of the awards, which will take place in Oyo and will have sitting governor, Governor Abiola Ajimobi as the chief host. 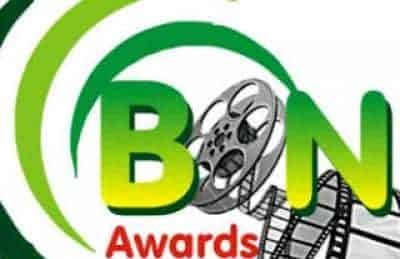 In a recent announcement, this year’s BON awards will honour carefully chosen figures to be recipients for its Special Recognition Awards – Jason Njoku, Kene Mkparu, and Abdullahi Abdulrasaq. Njoku is the CEO of Iroko Partners, the company that heaved streaming service Iroko TV into existence and was once regarded as the Netflix of Africa. Njoku will take credit for pioneering efforts at developing a digitised distribution model for local movie content in Nigeria. Mkparu is the co-founder of FilmOne Distribution, the independent distributor of filmed entertainment and providing top-end film release services. The company has been involved in the distribution of major Nollywood movies like The Wedding Party, King of Boys, and the upcoming star-driven movie Chief Daddy. On Sunday, he will be honoured as one of the brilliant minds awakening cinema culture in Nigeria. Abdulrasaq is the CEO of Corporate Pictures, and former president of the Yoruba Video Film Producers and Marketing Association of Nigeria. He will be recognised for his contribution in raising the standards for the distribution and consumption of Nigerian movies made in Yoruba.